May I have 3 seconds of your time and support? We’re halfway there! 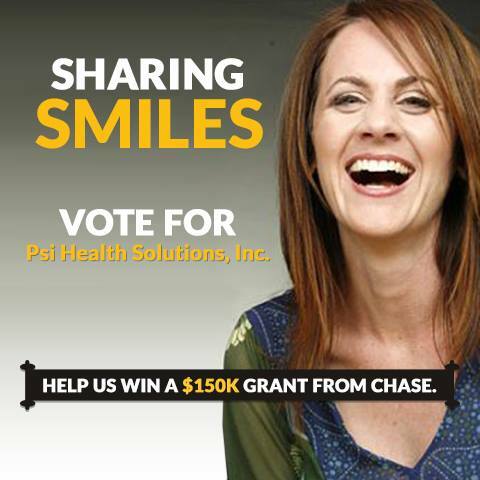 Please take 3 seconds and vote for Psi Health Solutions to win a $150K grant so that we may bring nausea relief to so many more deserving people through education and awareness. We need only 125 more votes to qualify for the next round. Simply go here http://bit.ly/1lSbWC8 and click “vot e now”. Thank you so much for your support! Previous Post From the Entrepreneur’s Perspective: How to continue the momentum AFTER your meeting with a buyer. Next Post From the Buyer’s Perspective: How to continue the momentum AFTER your meeting with a buyer.